The AMA is a national organization with many chapters around the United States. If you’re an AMA member, make sure to take advantage of your membership by taking the time and initiative to reach out and establish new relationships with other AMA members. As an AMA member you have access to the AMA member base. This is a huge value. Expand your network outside of your local area and build a national network to grow your business or career. As my term as JAMA president was coming into its last quarter I reflected on the awesome experiences I had in my term. I made many connections in the Jacksonville community and was able to strengthen my relationships with many of them. And while I met some great contacts from other AMA Chapters when attending out of town AMA events I had not made the time to nurture the relationships with leaders in other chapters of the AMA. In order to remedy this I created a goal to connect with other AMA leaders around the nation to share ideas, insights and begin to build a bridge between our chapters. I started by reaching out to other leaders on LinkedIn and established some initial report. 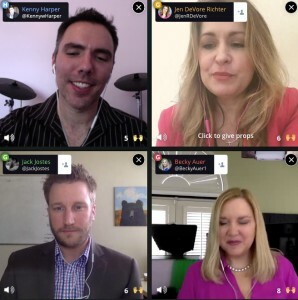 My next effort consisted of creating a marketing Blab Series aimed to connect other AMA leaders to network and discuss marketing topics. 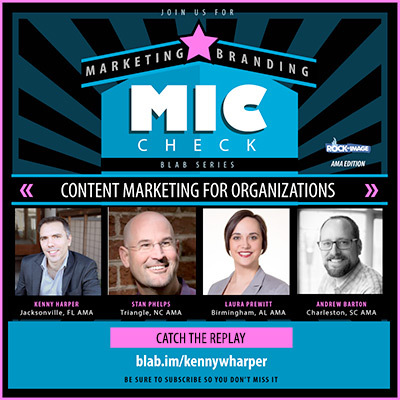 The Blab Series was named Marketing Mic Check and kicked off in March 2016. Through the first season of Marketing Mic Check the program had many marketing experts and leaders on sharing their views including several leaders in other AMA chapters. Below I’ve highlighted a three of my favorite programs that featured other AMA leaders. I hope you enjoy and make many great connections of your own. 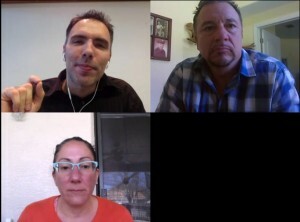 In this program we discussed ideas of how Organizations such as AMA chapters or other non-profits could leverage Content Marketing to help with building their member base. This was an awesome session, unfortunately there was an error with the recording and I didn’t get the video replay. I have the session’s recap on my blog. This session included ideas of how to go about taking advantage of PR by following Clint Arthur’s mathmatical formula for getting PR on TV. 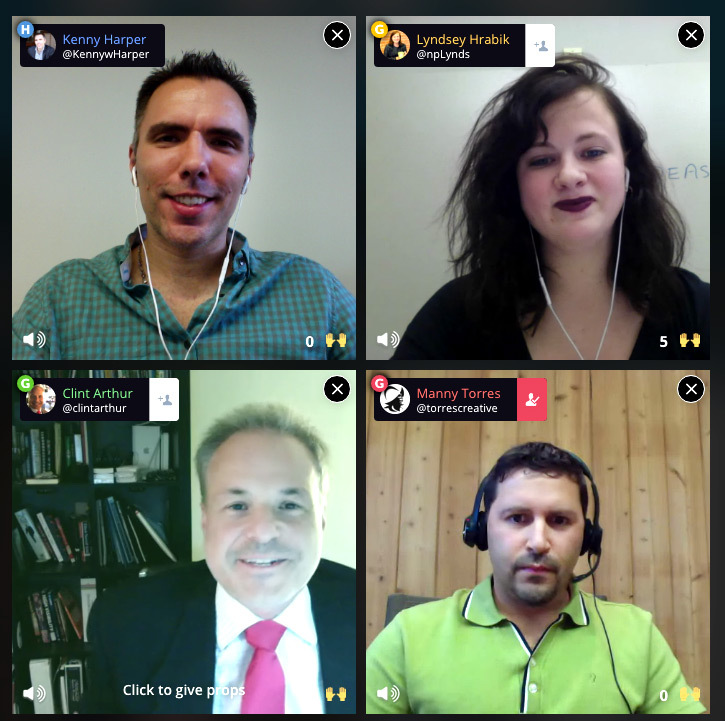 Check out the replay and recap for Tips for Leveraging Public Relations. In this initial kick-off session we discussed what was going on in our chapters from recent events to upcoming events. You can check out the Blab Replay here. Another one of my favorite Blabs included speakers to GKIC’s SuperConference which was held in Jacksonville, Florida. Although there was not an AMA member on this one, GKIC did offer AMA members a special deal to their killer conference. This is a win in my book. Overall the sessions have been a blast. I’ve learned a lot and have began to cultivate deeper relationships with other leaders around the nation. If you are an AMA member, I encourage you to take advantage of the AMA member base. If you’re not a member, perhaps you should consider becoming one. If you’re looking to score you’ve got to get in the game. Learn more about more AMA membership and membership benefits.